High-fi rose noise. I can feel the changes. I can feel a new life. Another rose scar living deep in my heart. Electric rose light. Speak no evil, only hear beauty. She built her own flower wonderland. Don't blink. 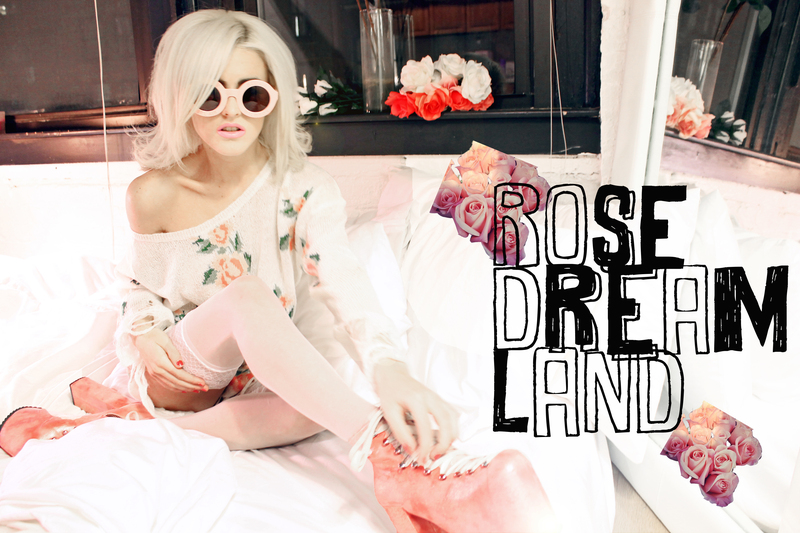 Look inside, building a wonderland out of the simple things: roses, white sheets, pillows, laces, energy, floral, wire, neon, crystals.